Rania’s experience spans from Banking, to High-Tech and Networking industries. She initiated her career in retail banking across the board for 6 years in Lebanon before joining a renowned French software development company in Paris as a Project Manager covering France, the Levant and Overseas Departments/Territories markets. 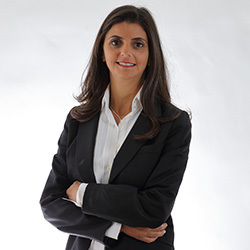 Rania then moved to Dubai in 2003 to join a European High Tech organization as a Marketing Manager. Before creating Trends International in 2011, she held a Business Operation Manager role for Emerging Markets, managing teams in high revenue business lines internationally within the worldwide leader in networking. Rania brings with her a wide experience across sectors and countries providing extensive network base and international market knowledge. Sofiane initiated his professional life in 1996 in Germany working for a food and beverage niche international expert prior to starting his career in Executive Search, and International Recruitment industries. All started in the City of London working for large Executive Search firms focusing on senior Investment Banking mandates in the UK, Europe and the Middle East. He then moved to Paris furthering his skills and expanding his network within the same industry creating bridges between major European Capitals, before moving and settling in Dubai in 2006. 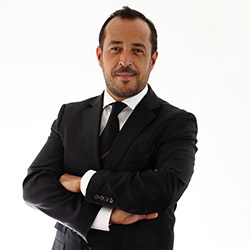 In 2011, Sofiane decided to create Trends International, after 6 years in the UAE, working for a top Tier Global Executive Search firm and an exclusive Government Organization, where he developed strong relationships within the Banking, Financial Services, Management Consulting and Public Sectors in the GCC and internationally. His focus has mainly been on Mid to Senior level profiles for leading organizations, while adapting to clients’ needs within these fields when required. Sofiane extensive sectors’ know-how makes him a very a strong asset with high deliverable capacities, well perceived by both clients and candidates alike. 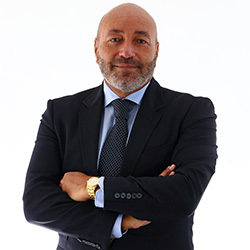 Since 1998, Selim took on roles in Business Development, General Management and Consulting across Europe, North Africa, the Middle East and the Caribbean. Prior to Trends International, he held various Senior Executive/ Board positions in Real Estate, High-End Retail, Cosmetic, Luxury Lifestyle, and Hospitality Entities. Selim has, during his career, developed and maintained great relationships with local, regional and international organizations within the same sectors identifying their human capital needs and helping them meet their goals at Mid to Senior level. His tailored approach has met great success with both clients and candidates.